The project was a journey. 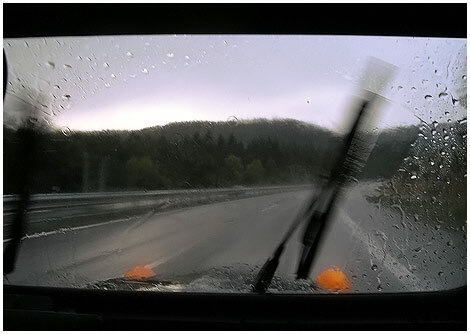 During 2003 and 2004 OPA traveled across Europe by a 40 year old car. The journey was carried out by modest means thus a series of mishaps and difficulties occurred. Visa applications, ‘disputes’ with embassies’ administration rules, car breakdowns during bad weather conditions and lack of money needed for important spare parts were recurring obstacles. The documentation of this journey became a commentary on the Schengen “wall” and the outsiders’ viewpoint. Nevertheless, the car itself became much more than a means of transport: it turned into a tool for communication. 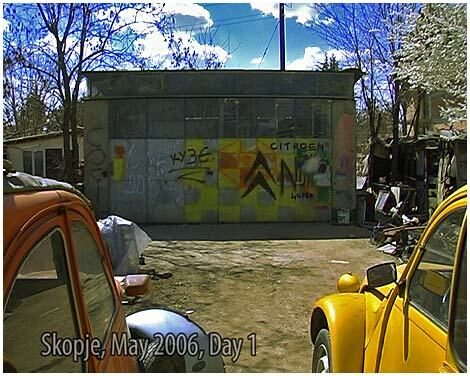 In 2006 OPA made the journey again, this time from Macedonia to Germany. With the departure from Macedonia the trip addressed the current political circumstances in Macedonia. For this occasion the car was pepped up and improved for entering the EU. The video work of 42 min developed from these documents and the collected materials from the previous journeys. The publication includes the collected texts and photo documentation, focusing on OPA’s observations, expectations and reflections on the European art scene. Click here to see the photo documentation of the journey.